The human body is a self-healing mechanism. Beauty and wellbeing is your nature. My favorite serum is a bouquet of 20 plant and botanical oils, and that's it. I vary my beauty routine when I feel like it, and I love to mix my own masks and mists and elixirs. But for a longer while now, when shopping for skincare items, I have mostly relied on May Lindstrom’s products. 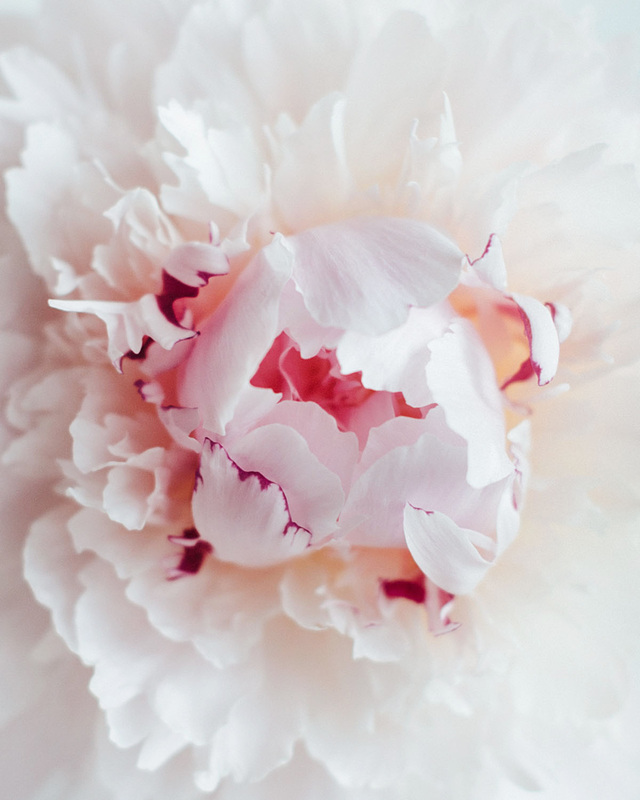 They are sensual, very potent, and full of lifeforce. They are not cheap, but I find they are always worth it. Packed with natural ingredients, such as high-quality botanical oils, essential oils, absorbent clays, honey and spices, to me they feel like the real thing. They contain absolutely no unnecessary ingredients. You use them mindfully. You use less. I think it is difficult to write about beauty products without coming up with a whole load of nonsense. Those jars and bottles are somehow so personal, and also, I think, every single product out there has been chosen the best product ever by someone, maybe the same product has also been claimed the worst product ever by someone else. Whether these people are speaking their truth or not, I have no idea. But what I know for sure is that all beauty items on magazine spreads are not chosen for their true properties. Sometimes they are just a good fit to the layout visually, or the brand has bought advert space in the issue. How can you tell, what is the best product for you? Do not listen to anyone else more than you do yourself, to begin with. It is the simplest thing, yet too often we forget it: try and feel what is good for you. Just like food. When you buy ingredients that look vibrant and alive, and you cook them simply, and let them taste what they naturally tastes like, you are most likely feeling good and vital during and after eating. Beauty is not a luxury that comes in a jar. Beautiful is not something you can be only, if you have an unlimited skincare budget and access to the finest and rarest ingredients in the world that some unicorn-riding angel has hand-picked and prepared for you. Beauty is the essence of your being. What you need to take care of is that essence. You. If I had to give up all my skincare items, I would go to my kitchen and get honey, dry spices and cold-pressed oils. If I could invest in one small bottle of organic essential oil, I would choose lavender. In this case, I would already be in a skincare paradise. You can cleanse and gently exfoliate your face with oil and a wet cloth. Honey makes a great mask that is soothing and fights irritation and infection. To get the consistency right, I combine it with ground spices, such as cinnamon, or follow this recipe. 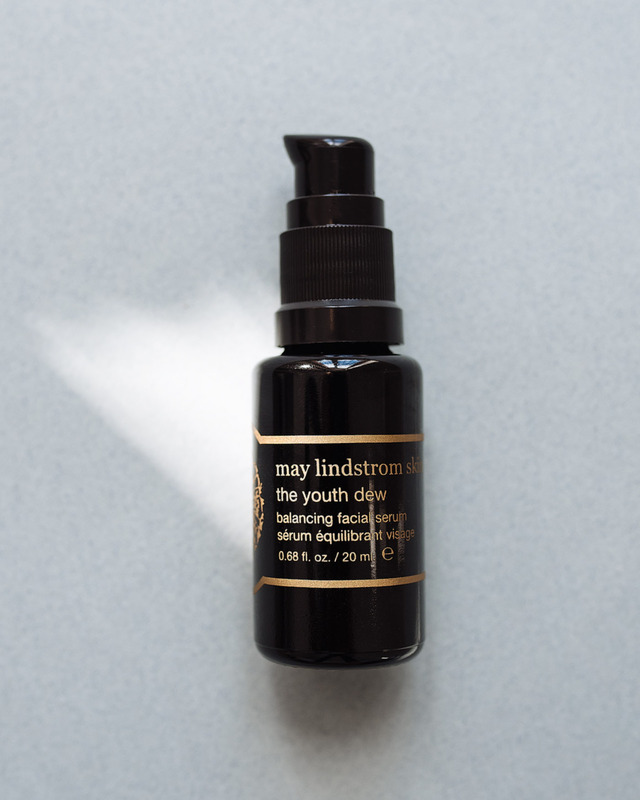 Six main ingredients in my favorite face serum: avocado oil, meadowfoam seed oil, olive oil, plum kernel oil, jojoba oil, and sea buckthorn oil. These are not all pantry items but not anything very exotic either. And surely the serum contains some really precious ingredients too, such as rose essential oil. It is thoughtfully designed and made in small batches, and it comes in a beautiful bottle that functions well in use. The black color of the bottle protects the precious oil blend from light. In other words, there is a lot of good design behind a brilliant product like this. But do you get the idea of a simpler, meaningful way of caring for yourself. Paying attention to the quality of the raw ingredients you put into you body and onto your skin, instead of just going after the latest miracle product that has gained a hype through smart marketing. If you need ideas, inspiration and instructions for simplifying you beauty regime and blending your own skincare products, I warmly recommend getting these two books on your hands: Perfect Skin by Alexandra Soveral and Genuine Beauty by Katja Kokko.